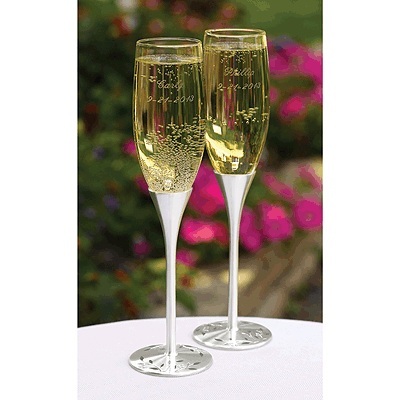 wedding champagne glasses and flutes and other fine wedding accessories!" Be sure to include your toasting glasses on your wedding reception supply list! The wedding toast is traditional done right after the cake cutting. Most available engraved with your first names and wedding date. Wedding Toast and Speech Ideas Click Here!